(Rick Egan | The Salt Lake Tribune) The view of the Encore Bistro, from the balcony at the Eccles Theatre in downtown Salt Lake City. 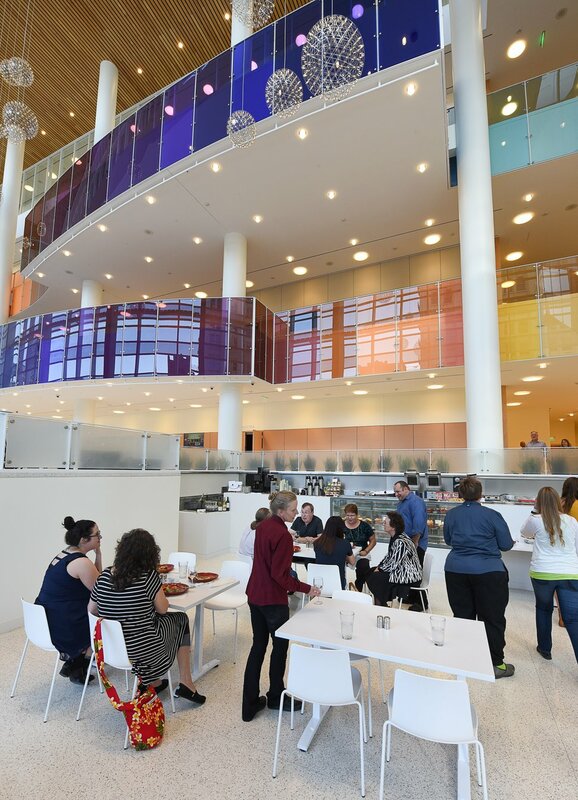 After being sued by a Utah caterer for allegedly breaking its concession contract, the government-led agency that owns Salt Lake City’s Eccles Theater filed a counterclaim this week, stating that the food provider owes the venue at least $300,000 in unpaid rent and building improvements. Cuisine Unlimited “is in breach of its agreement with the Eccles Theater and has been for almost two years,” according to the counterclaim filed in 3rd District Court by the Utah Performing Arts Center Agency (UPACA). The board of directors for UPACA includes officials from Salt Lake City and Salt Lake County. UPACA asserts the caterer brought in $1.8 million in revenues between October 2016, when the theater opened, and May 2018, when Cuisine ended its contract. Yet, the agency says, the caterer paid only $54,682 in commissions, a fraction of the $310,521 it owes in lieu of rent. Cuisine Unlimited also owes the theater $65,448 for certain requested building improvements. And, according to UPACA, the caterer failed to meet the “first-class standard of service" required of a showcase venue like the Eccles. UPACA hopes to recoup its losses, as well as attorney fees, in a jury trial. Francisco Kjolseth | The Salt Lake Tribune The Encore Bistro at Eccles Theater. Last month, Cuisine Unlimited, which was hired to handle all food and beverage service at the downtown venue, filed a lawsuit claiming UPACA “grossly overstated” the capacity of the building’s event space in its request for proposal (RFP). It asserts the inaccurate contract caused $1.5 million in lost revenue. Cuisine Unlimited also alleges that after it signed the catering contract, UPACA placed additional restrictions on the company, hindering its ability to make a profit. The problems, the suit states, forced Cuisine Unlimited to terminate the five-year Eccles contract after two years. Maxine Turner, founder of Cuisine Unlimited, said her company tried for more than a year to resolve the issues through mediation. However, she said, UPACA would not engage in that process. The offer to negotiate is still on the table. • Failing to file required permits in time. • Arriving as much as 45 minutes late to events. • Running out of food or failing to serve the planned amount of food. Even though Cuisine fell behind on its commissions, the Eccles Theater continued to work with Cuisine in good faith, UPACA states. As an example, UPACA says it allowed Cuisine Unlimited to cut the operating hours at the Encore Bistro, located in the theater lobby, because it was struggling to make the eatery profitable. Reducing the hours from weekdays to just show nights was allowed despite the fact that the Bistro was supposed to be “a unique draw for the theater,” the suit states.